When I see cute things, I can't help myself in purchasing! Exactly what I felt when I saw these goodies from the little shop. In conjuction to my previous post, here are the goodies I bought from Lavender Creek Farm's little shop. Japanese Sencha Tea for $9. Another addition to my collection of tea! The ingredients includes tea leaves mixed with lavender angustifolia flowers. This would be a great calming tea after a long hard day. 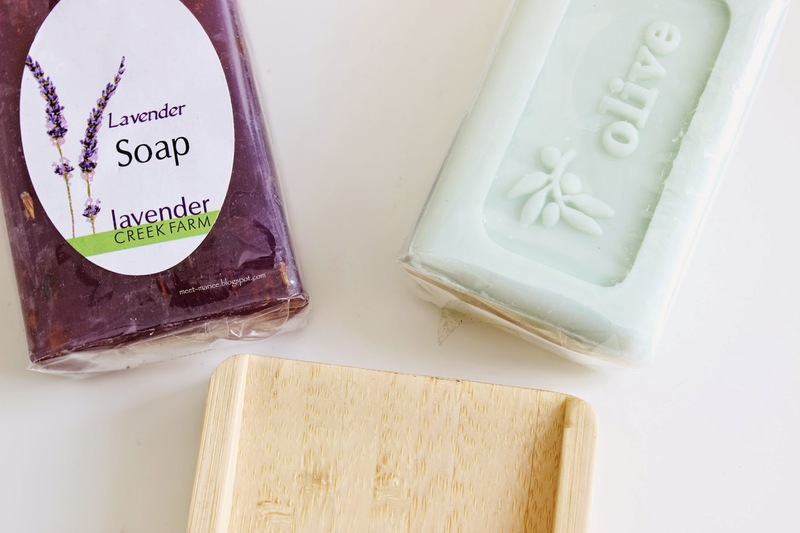 Lavender Soap and Olive Soap which both cost $5. These two products are hand-made and organic. I'm quite excited to try the olive oil soap bar as a facial wash and see if its great for makeup removal as well, since I mainly use olive oil to take off my eye make-up. 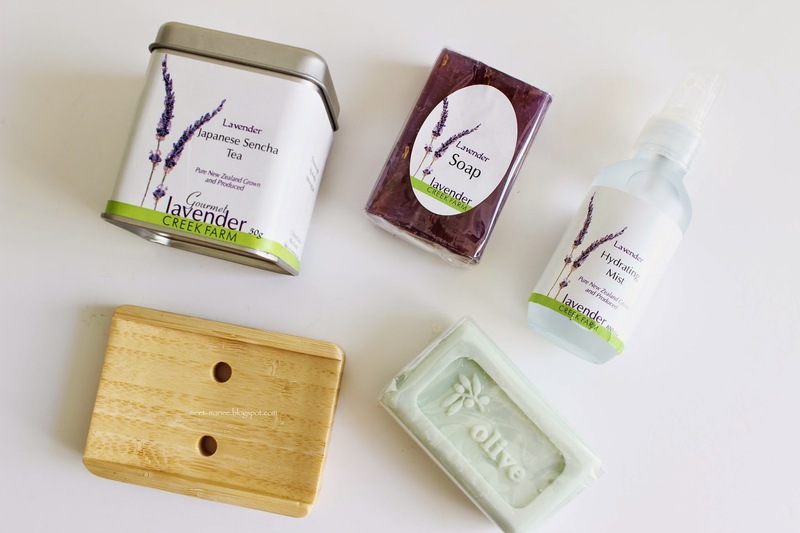 As for the lavender soap bar, I think this would be great for shower/bath after a long day. Knowing that lavender is great a stress reliever, and great for relaxation. I also purchased the wooden soap holder for $7.50 which I thought would go well when displaying the soap in the bathroom! 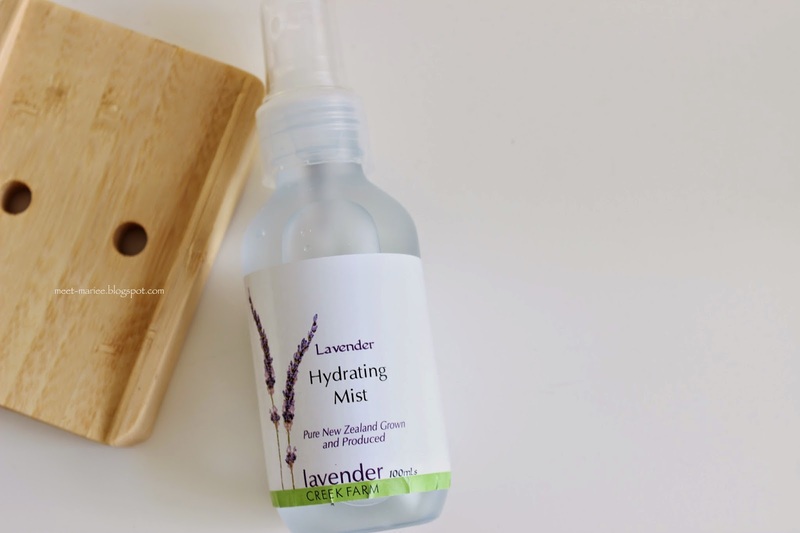 Lavender Hydrating Mist for $6.50. I have to admit, this was the first thing I saw at the shop! Hydrating mists are great refreshers on a very hot day, also they are great help in making your makeup less cake-y. When your face feels a bit too dry, spritz a bit and it helps give a bit of moisture back to your face. What I like about this hydrating mist is, it is only made out of 3 ingredients - lemon verbena, lavender hydrofoil, spring water. I have already tried this mist and oh boy it feels so refreshing! Do you guys like lavender? If so, what is your favorite product made out of lavender?